Prosthodontics is a specialty that deals with the movement of teeth. Where there is a dental problem that has been caused by teeth that are defective or missing. It also includes any problems in the maxillofacial tissues. Prosthodontics starts with diagnosis and then goes on to treatment planning, rehabilitation issues as well as maintaining oral function and making sure that teeth are comfortable, healthy and look good. Treatment will also cover replacements of teeth with artificial replacements, where it is necessary to replace missing teeth or repair tooth damage. Prosthodontists are qualified dentists who have had an additional three years training in the specialty. For patients who come to us with missing teeth or teeth that do not function well or are unsightly we know that it is not just the appearance that is a worry for them. As well as the aesthetics there is the fact that missing teeth affects a lot of other things like eating, talking and of course the embarrassment that these issues can cause. Some of the procedures that prosthodontics treatment can offer will dramatically improve your smile and confidence. A dental veneer is a thin shell made of porcelain or sometimes ceramics that is bonded to the tooth to provide a new surface. 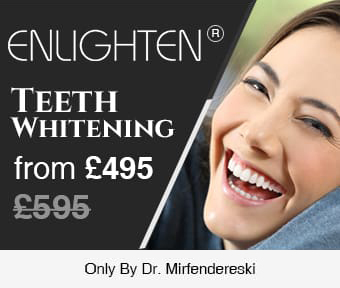 They can immediately transform your smile and boost your confidence and will be used to cover intractable stains or discolouring or to repair chipped or broken teeth or teeth that are misshapen. The dental crown is a great way to improve the cracked or broken tooth. It adds vital support to a tooth that has been damaged. Where a tooth or teeth have been lost the dental implant can be the way to return to the feeling of having your own teeth again. Dentures are a good solution for those who have lost teeth for any reason. This might be from injury or gum disease. A denture is a prosthetic device that will allow the wearer to be able to eat and speak better. A dental bridge is made up of a few teeth manufactured and fitted to bridge the gap left by missing teeth and that will also stop the neighbouring teeth moving into the gap left.